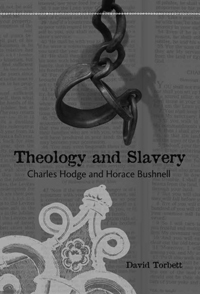 This book examines two important American Protestant theologians: the archconservative Charles Hodge (1797-1878), and the archliberal Horace Bushnell (1802–1876), and their stances on racial slavery. Hodge, with his rigid doctrine of biblical inerrancy, and Bushnell, with his open-ended experiential theology, represent two poles of thought that continually assert themselves when American Protestants speak out on social issues. Even if many American Christians do not currently know these theologians’ names, they feel their influence. This book provides a case study in the moral implications of each of these enduring polarities and upsets conventional understandings of the relationship of conservative and liberal Protestantism to slavery and race. What is surprising is that the “liberal” Bushnell, despite his stronger opposition to slavery, embraced peculiar theories of African inferiority that were foreign to Hodge. Bushnell, unlike Hodge, repeatedly predicted that the end of slavery would be a precursor of the extinction of the African people on the American continent. This important and ironic difference between Hodge and Bushnell is rooted in their broader theological differences. The ambivalent attitudes of both men toward slavery and race are significant aspects of both of their enduring intellectual legacies. This is the first book-length comparison of these two theologians on this subject.